Since 1927, Maison Kaspia has been known for hosting grand parties in Paris so it was the perfect environment on Wednesday evening for the presentation of the latest issue of TAR made with the collaboration of Camille Micheli of Dior. Founded by Martina Mondadori who has publishing in her DNA, Coco Brandolini D’Adda, and Francesco Bonami, TAR takes its name from ART. They have achieved their goal! 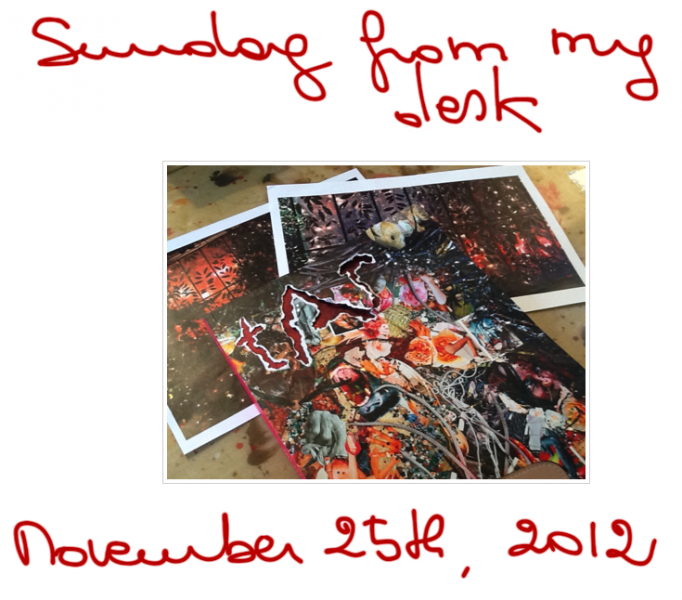 TAR puts together the best concepts in art and fashion, with the best contributors from both worlds. That same day in Paris I could see the Dali exhibition at Pompidou! TAR, now in its 8th issue, is always offering new articles on a wide range of subjects. 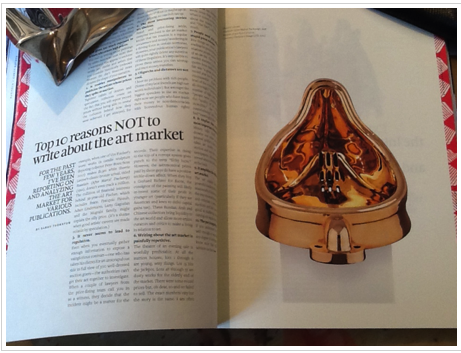 Here, the double page of Sarah Thornton’s article, “The top ten reasons not to write about the art market” . The magazine is an eye opener as much as the beautiful graphics of Christoph Radl, no wonder he is an icon (remember TERRAZZO?). An interview with Yoko Ono by art critic Hans Ulrich Obrist in this same beautiful issue makes this a magazine par excellence. Joseph Holtzman was a unique kind of person. An artist with such integrity is rare to meet. He was founder, editor, art director and the soul of NEST. 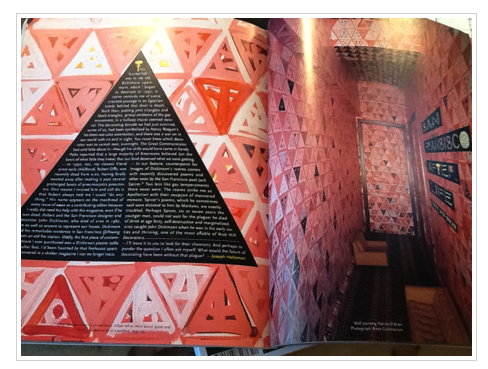 Self funded, the magazine truly expressed his aesthetics with few outside contributors ever involved. He never offered it for sale, preferring to end the publication when he decided to paint and find other ways to express his amazing eye for detail. and go through the place with me. 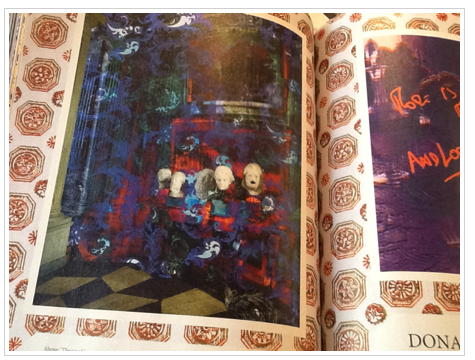 It is the favorite reading magazine of all the most important fashion designers of our time. That is really all there is to say. This issue – a beautiful layout and great paper, something I am always sensitive to – features for Christmas, the houses of Donatella Versace, Marc Jacobs, Azzedine Alaia, Giorgio Armani, Vivienne Westwood and others. If you do not collect magazines, you should start with this one. Collecting beautiful art magazines is one of my favorite pleasures and that means collecting the real changes in visual graphics too. AVANT GARDE had 14 issues from 1968 until 1971 and is most easily recognized for the new typeface of Herb Lubalin. 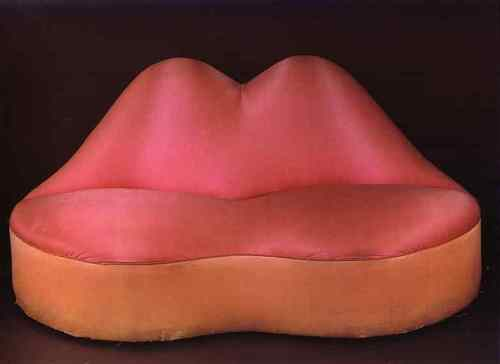 Here, the cover of artist Tom Wesselmann, known for his Big American Nudes. but when I finally had a gallery I showed his work. Perhaps the creativity and genius of Dali was also in the controversy he inspired! All this is brought together in the Centre Pompidou exhibition that has just opened in Paris and will run until March of next year. More than 100 works in a wide range of mediums from paintings, drawings and jewelry to films he made, present this enduring master of grandeur and surrealist thought. in a picture by Denise Bellon. 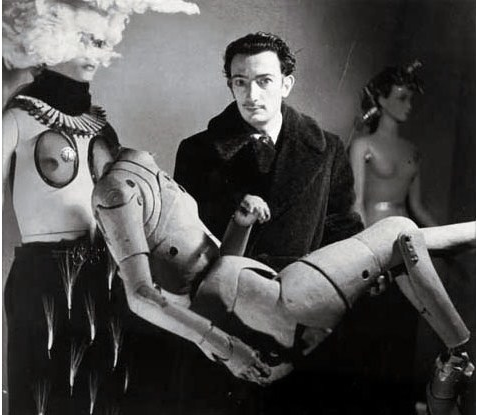 The Paris Surrealist Exhibition in 1938 was organized by Andre Breton, with Marcel Duchamp curating and helping to design the exhibition installation, Max Ernst advising, Man Ray as lighting technician and Salvador Dali very much in attendance. More than 60 surrealist artists from around the world gathered in Paris to show over 300 paintings, objects, collages, installations and photographs. The exhibition had one part dedicated exclusively to Mannequins. 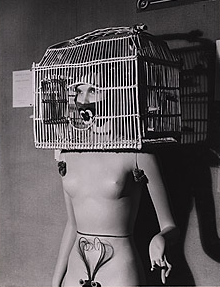 Here French artist Andre Masson mannequin, in a picture by Man Ray (“Mannequin with a bird cage over her head”, 1938). before taking a new place at the 10 Corso Como Outlet. Here, a painting done by Man Ray. Inspired by a photograph Man Ray had taken in 1932 of the mouth of Lee Miller, his muse, before they had separated, Man Ray did this painting of her lips over an empty landscape years after called, “L’Heure de L’Observatoire – Les Amoureux” (The Hour Observed – Lovers) l had a lithograph which I had bought in 1967 and brought with me to Vogue, to Elle, and then to hang a few years on my wall over my desk here at the Gallery.